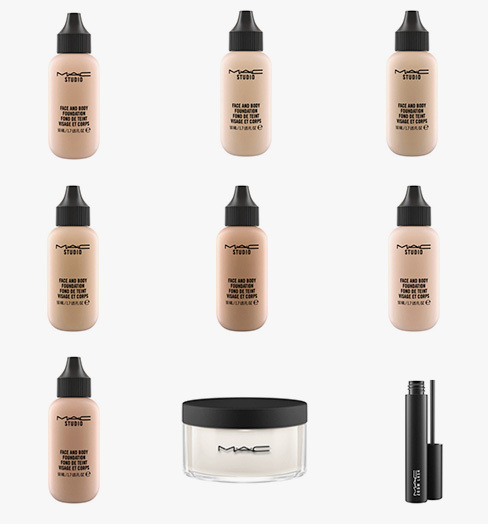 We all have to start somewhere, so to give our students the best head start possible we have put together a very special and exclusive makeup kit just for our makeup course students. 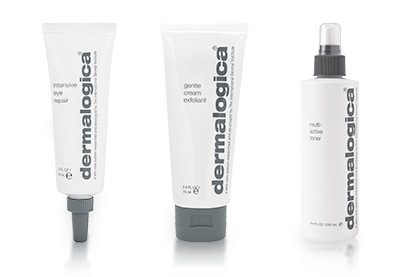 We have collaborated with renowned brands to create a unique and comprehensive starter-kit to help you on your way. This all inclusive kit will be hand delivered to your door and includes a selection of the best products available. Included is our very own AOFM Pro 25 piece brush set, which comes in a handy on-the-job professional makeup artist's brush belt. 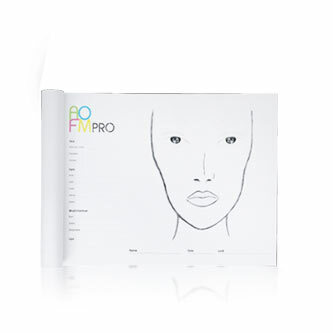 So convenient when on set or backstage, trialled and tested by our famous AOFM Pro Team. Combine all that with a set of AOFM Pro face charts, Barbara Carranza's famous eyebrow tweezers and if that wasn't enough, we've thrown in an extra special bonus, at the end of your training we will send you your own complimentary copy of our beautifully illustrated book, 'Makeup is Art'. Our all inclusive and exclusive starter kit is delivered to you wherever in the world you are FREE of charge! 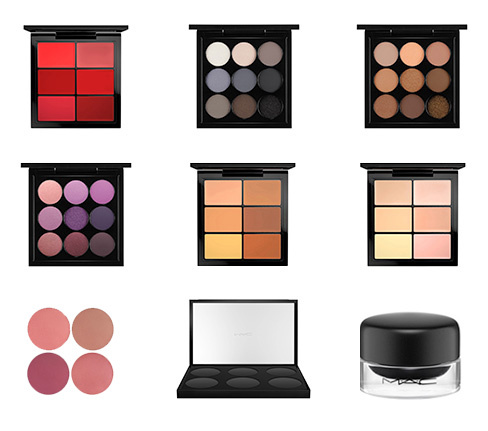 M·A·C Pro cosmetics is a world leading professional makeup brand used by freelance makeup artists all over the world. We are pleased to offer you their amazing products within your starter kit products to start your journey in professional makeup artistry. In addition, the AOFM online International Diploma in Freelance Makeup Artistry is eligible for the student programme within North America. When applying for the programme you will need to upload you AOFM enrolment letter and a copy of your identification. If your region is not supported by the programme at this time, you will be able to apply for the M·A·C Pro discount card after completing your course and you are actively working in the makeup industry. AOFM believes in using only the very best quality professional tools in order to achieve the highest standard of work. Our AOFM artists have tried, tested and used these brushes on hundreds of major catwalk shows around the world, on editorial shoots and industry events to ensure they are of the best professional quality. 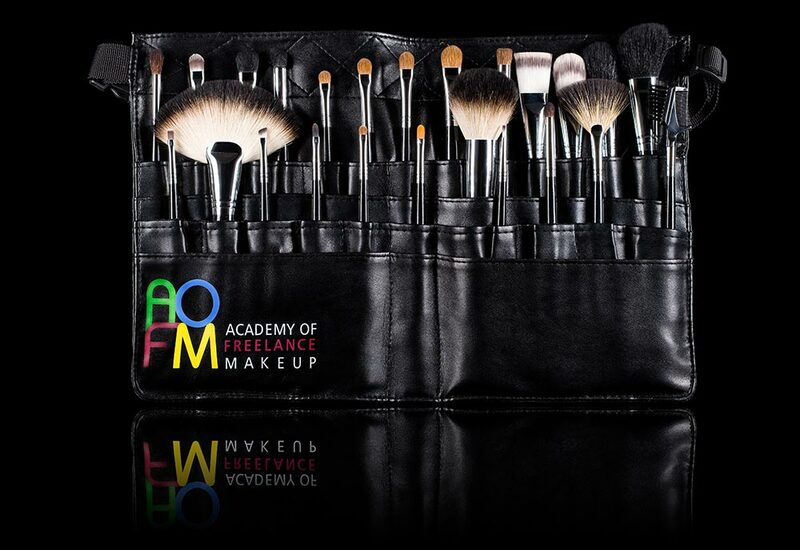 Our professional AOFM Pro Tool Collection has been designed to meet the needs of any aspiring or professional makeup artist. Once you book your online course this fabulous AOFM Pro Tool Collection will automatically be included in your Online School start up kit. The set of 25 hand crafted makeup brushes comes in a handy on set professional makeup artist brush belt. 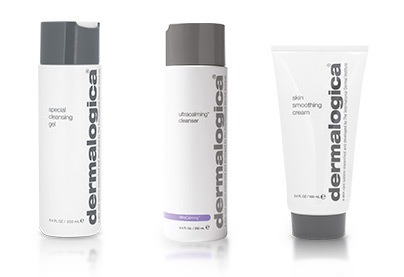 AOFM sponsors and supporters Dermalogica have designed an exclusive skin care starter kit just for you. 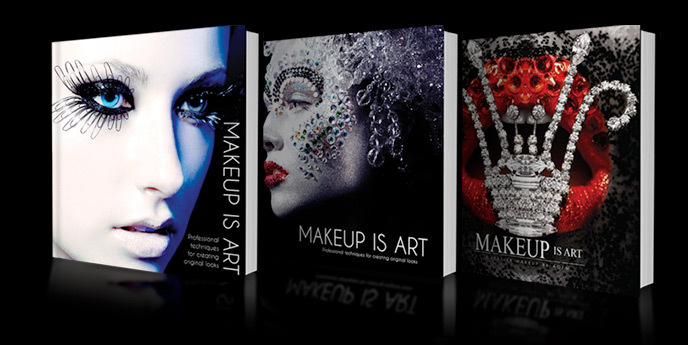 Included in your Online School all inclusive startup kit is your very own copy of MAKEUP IS ART Already in its 3rd Edition Makeup Is Art is a collaboration of beautiful photography, makeup artistry, hair styling, expert advice, insider secrets, tips and techniques for a novice or professional makeup artist. Created by AOFM this gorgeous yet practical book on the art of makeup will be the perfect reference as you move through our online course and into the future. A few extras from us! 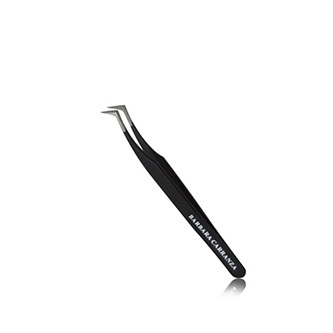 If that wasn't already enough, we have also included a set of tweezers from our very own AOFM Pro eyebrow guru, Barbara Carranza and our AOFM Pro backstage makeup face charts so you can design your own creative looks throughout your training.